Website for Doctors is finally live and kicking, and after touching are first 10 clients within the first month of going live, it is safe to say the idea behind the venture is a solid one. Doctors have a business to run and need to provide high quality information to their patients to give high quality service. A website is a great medium to communicate with patients – and has now become a key tool for every doctor in private practice. Why does Website for Doctors appeal to the doctors who are signing up? Because we are a specialized service, like a highly specialized clinic, serving only doctors. Since we focus on dealing only with doctors, we understand their needs and wants , so we can deliver what is best for them. Every website we have done has gone live online within 48 hours of the doctor providing us with the required information. What’s more important is that after the doctor takes the first step of choosing a template and sending us his basic data, we can send him his personalized dummy site by the next day. Seeing it live and understanding that his clinic is now live on the web enthuses doctors to ask for more ! Seeing is believing ! What allows us to bond with doctors and give them the solutions which they need ? Our specialization based galleries; our dedicated team ; and our medical domain expertise, because of the knowledge we have acquired as a result of developing our EMR products . 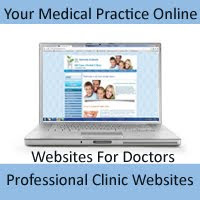 A website can be tweaked and the content modified to give the doctor’s patients what they need from the website. A superspecialist consultant can get exposure to international patients; while a small city specialist can get publicity and provide directions to his clinic. There is still long way to go in actually making Websites for Doctors from a doctor’s “want” to a “need”, but the process has begun ! Apart from the basic features of a website, there are some simple tools which can go a long way to improve your website experience for your patients. 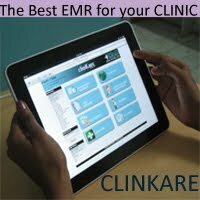 Our aim at Website For Doctors is to recommend these tools , such as health calculators, video galleries, online patient history forms ; customized ask the doctor queries; and google maps which provide directions to the clinic. All these websites were ready in double quick time and to the satisfaction of these doctors. Even today we provide suggestions and accept them to tweak them to make them better. As Mercedes says “the road to perfection has no finish line” but it definitely gives us , and the doctors who have decided to take this journey along with us , a goal for the future!